"how do I recover the deleted photos from my Lenovo laptop? They really mean a lot to me, please help". You can always see people are asking this kind of question at Quora.com. Some asked how to recover formatted data from Lenovo laptop since he had to do the formatting due to the system crash. And some asked how to recover the deleted reports, videos, emails and more from the Lenovo laptop. Actually, we can put all the problems into one, namely how to recover deleted files from Lenovo laptop. 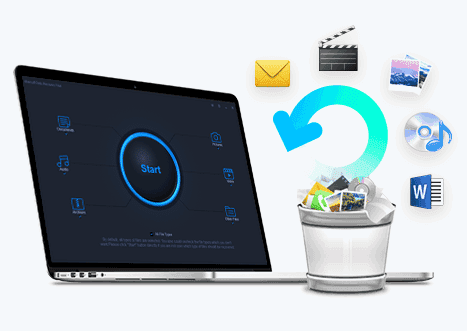 The following explains the step-by-step guide for how to completely and quickly recover deleted videos, photos, reports, documents and more from Lenovo no matter in what scenarios they’ve lost. First thing first: Avoid Lost/Deleted Data Overwritten in Lenovo Computer The first thing you need to do is do nothing. Calm down. Here it means, after you finding you’ve lost the data from Lenovo laptop, you should stop using the computer right away because any further operation on the computer will cause data deletion permanently and can't recover deleted files from Lenovo laptop/tablet. If you’ve known how a data storage device works, then you know it is important to do nothing until you find a tool for help. Just remember, do not try to find the data anywhere on your computer or do any command line. Second, Find a Lenovo Recovery Software Tool for Help! There are many data recovery software tools available on the internet. You need to find the one that’s right for your Lenovo laptop, which means it is fully compatible with your Lenovo laptop operating system, it supports all the file types you’re going to recover, and it’s easy to use. Otherwise, you’ll waste time for the Lenovo data recovery and it will risk getting the data overwritten as well. Fully compatible to recover files from Lenovo laptop/tablet under macOS and all versions of Windows, including Windows 10, Windows 7, Windows 8 and more. Supports more than 1000 file types, including photos, pictures, drawings, documents, reports, notes, computer browser history/bookmarks, videos in all formats, audio files and more. It almost covers all the file types you need to recover. 2 modes: Quick Scan to shorten scanning process and Deep Scan ensures a better Lenovo recovery result. Supports Lenovo laptops and tablets fully and Easy navigation to help individuals to recover deleted or formatted data from Lenovo computer. Click the download button to get the free trial version of the Lenovo laptop recovery software. It has a separate version for Windows and Mac computer data recovery. Here in this place, you need to choose the Windows version for you Lenovo. Next, double-click the .exe file and follow the built-in wizard to install the software on your Lenovo. It is virus free, feel free to install it. Launch the Lenovo data recovery software after you install it. 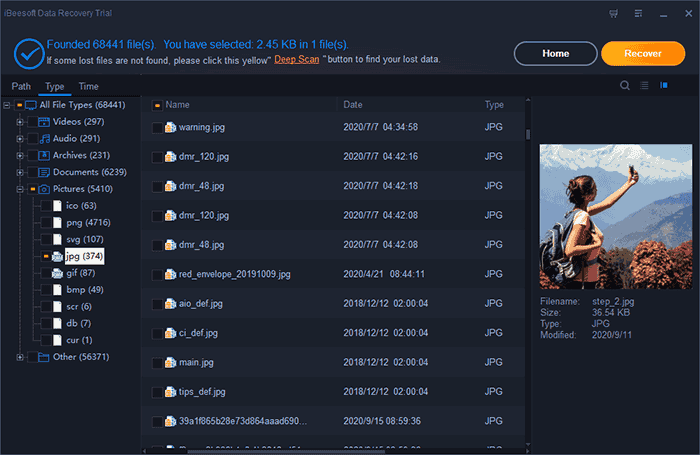 After then, from the start-up window, you’ll be shown all supported file types. By default, all of them are selected. You only need to keep the file types you need to recover from Lenovo laptop selected and unselect other types. By doing this, it will save you much time for the scanning process. Click "Start" to let it recover files from Lenovo laptop. From the next step, you need to select the partition where the deleted or lost data on Lenovo saved. If you're going to recover deleted files from Lenovo tablet, please use a USB to connect it with your computer and select the device in this step. Click "Scan", letting the software scan for the deleted files on Lenovo. It takes a while for the Lenovo data recovery software to scan for the deleted or formatted data. 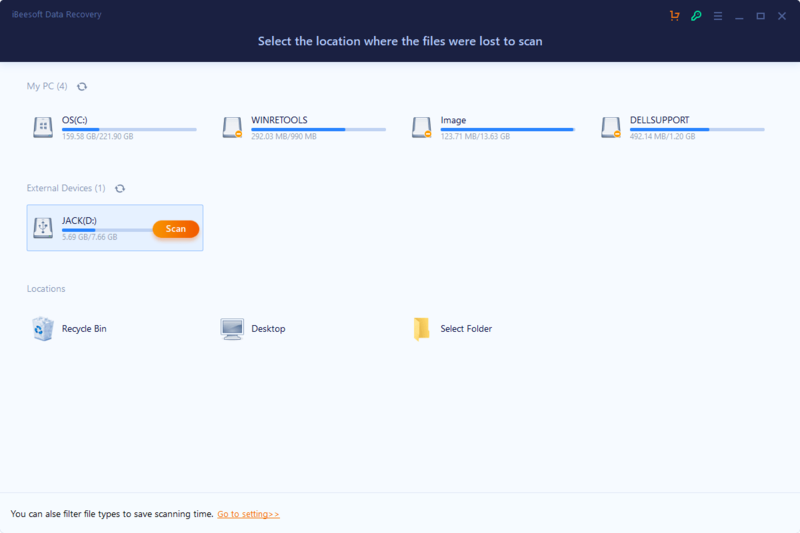 During the scanning process, if you find the deleted files are found, you can pause the process right away. After then, select the needed files and click "Recover" to save them somewhere on your computer. From the result window, you can see the "Deep Scan" option. If the files you haven’t found via the Quick Scan feature, please try the Deep Scan to recover more files from Lenovo laptop.